Yesterday I posted a layout for my upcoming class in June. Today I am posting the second layout. Tomorrow I'll start posting the cards. Check back tomorrow to see the cards! 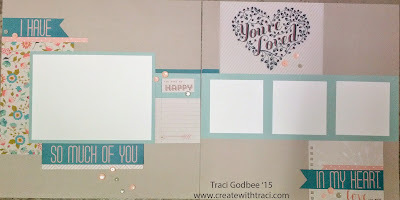 All of the June projects were created using pages from the "for her" crush book in the Seasonal mini book.